Mary Bennet, plain and vain, has grown up in the shadow of her livelier, prettier sisters. 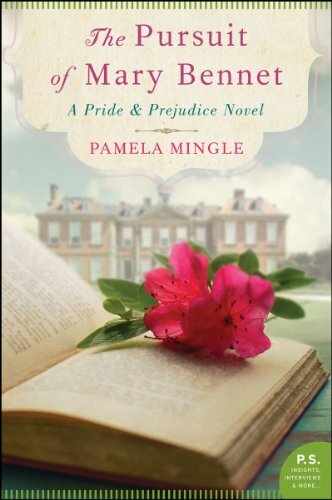 Pompous and prickly, she is her own worst enemy as she tries and fails to win admiration and respect.Invited to Pemberley one summer, she begins to blossom undom under the influence of new friends and family, and for the first time in her life experiences attention, kindness, and even the possibility of love. Can she accept these bewildering new emotions, or will her stubbornness and pride lead to her downfall? The novel takes the reader on a journey with Mary - it will make you laugh, wince in sympathy and ultimately hope. And for lovers of Jane Austen's Pride and Prejudice, you will find yourself in the company of old friends. The middle sister of the Bennet family has secrets no one suspects. Wrapped up in their own romances and prejudices, the other girls are blind to Mary's feelings; however, she finds herself and love while the family's dramas play out. 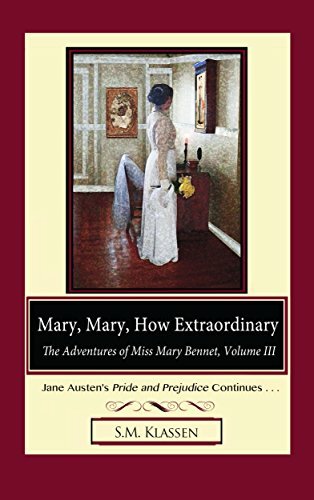 In volume three of Miss Mary Bennet’s adventures, Caroline Bingley provokes; Major Ashton vexes; Lady Catherine manipulates; Mr. Collins annoys; Jane and Mr. Bingley leave Hertfordshire; – all while Mr. Darcy and Elizabeth await the birth of their first child at Pemberley - and Georgiana and Mary endure a London season where complications and a carriage catastrophe affect how Mary’s story will end. 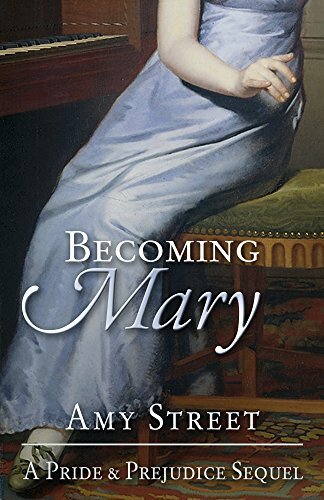 Now that all her sisters have left home, long-neglected Mary Bennet finds herself the focus of her mother's attention. 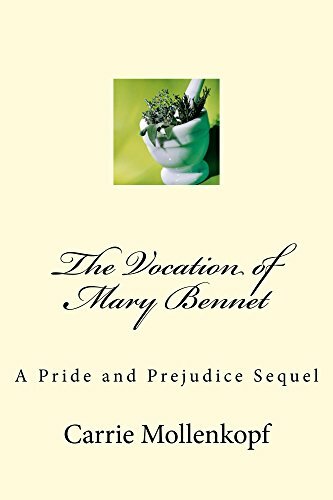 Mrs. Bennet intends to find the perfect match for her bookish, socially awkward daughter, and Mary wants nothing more than to please her mother. But when Mary receives the gift of a large dowry, Mrs. Bennet is no longer content to find her daughter an ordinary husband. He must be rich as well as landed. Now the center of Meryton society, Mary realizes her dream of being noticed, but will she find herself ill-equipped to handle the attention? Will her moralizing ways scare away her mother's choice of suitor? But more importantly, can Mary please her family without losing herself in the process? 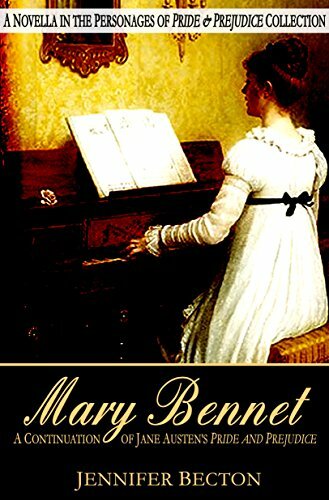 Mary Bennet is a novella of approximately 33,000 words. Lizzy gripped Mary’s hands and began her speech.“Now is the time for you. Heal now. Future only, my dearest sister.”Mary Bennet has spent her entire life fighting to be herself. If only she knew just what that was. For years she buried her nose in she buried her nose in the musty musing of Fordyce’s Sermons to Young Women trying to be exceptional. She hid her light brown eyes—and herself—behind useless spectacles. 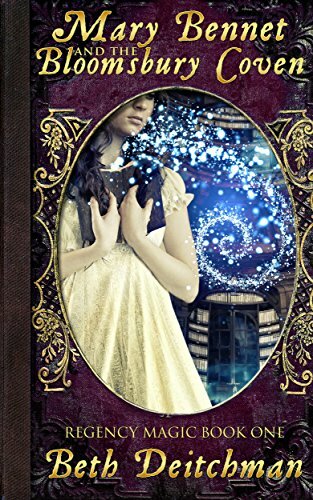 Set in Jane Austen's England a year after the events of Pride and Prejudice, Mary Bennet and the Bloomsbury Coven is the first book of the Regency Magic Series, whimsical tales of magic and manners published by Luminous Creatures Press. Even Mary’s recent success in publishing cannot take away the sting of a regal visitor or the distress of a difficult decision. But she has little time to fret about her future before a summons arrives from Pemberley, where Mary’s closest friend, Georgiana Darcy, is ill. While at Pemberley, Mary overhears shocking news about the man Georgiana loves, and an outraged, fully-recovered Miss Darcy is determined to prove him innocent. 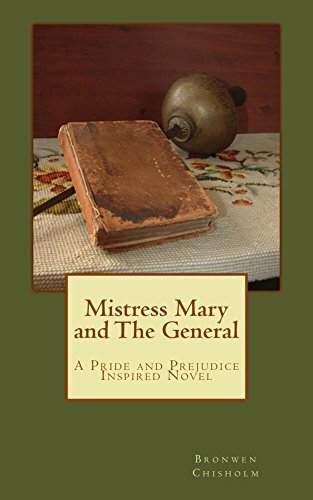 She enlists Mary’s aid, and their inquiries put them in peril, giving Mr. Darcy good reason to tell his wife that their sisters might need a firmer hand in the future. When the Darcy party returns to Hertfordshire, Mary receives a second summons—this time from Lady Catherine de Bourgh, who is determined to dictate the course of Mary’s next novel, to see that Mary becomes a governess, and to have Georgiana married to a wealthy, elderly widower with three children. While at Rosings, Mary is once again thrown into the company of a gentleman who causes her to rethink her determination to remain a spinster. Pride and Prejudice … the story continues. Jane and Charles Bingley's plan for a quiet stay at Netherfield with Kitty and Mary Bennet takes a wrong turn, thanks to Caroline Bingley. Caroline is determined to add her brother Robert and her best friendnd her best friend Helena to the party. It’s Caroline’s dearest wish that Robert and Helena wed, for she knows their marriage will elevate the Bingley’s status among the ton. Captain Robert Bingley arrives at Netherfield for the sole purpose of wooing beautiful Helena Paget. 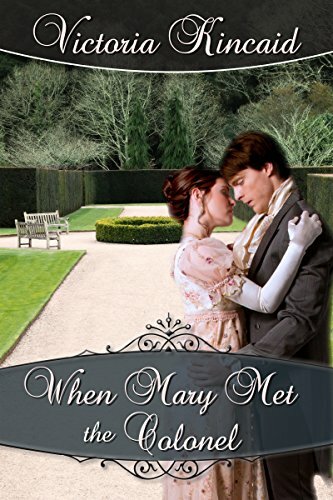 And when he meets Kitty and Mary Bennet for the first time, he gives them no more than a passing glance; until an unusual circumstance sends him off on a quest to rescue a friend in trouble … with Mary Bennet as his accomplice! Before long shy, bookish Mary has turned Robert’s well-ordered life on its ear. Why, even Caroline Bingley notices her brother and Mary seem to be in constant company. Now it’s up to Caroline to drive a wedge between them in order to achieve her heart’s desire. Two years after the events of Pride and Prejudice, Mary Bennet is a confirmed spinster. Content with her books and music, she is only mildly distressed by her mother’s attempts to find her a husband. Mary’s predictable and admittedly dull existence is interrupted by tragedy when she and her sister Kitty are attacked by a bloodthirsty vampire on the road home from Lucas Lodge. Though she escapes unscathed herself, Kitty is gravely wounded and begins to turn. 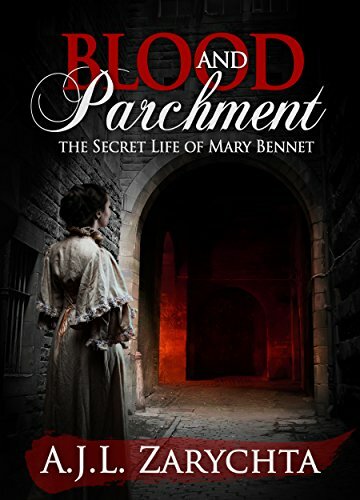 The only aid Mary can hope for is in Benjamin Gordon, the overbearing vampire hunter who killed the offending creature. Through sheer stubbornness, she convinces Gordon to take both Kitty and herself to London, where they will try to find the ancient vampire whose bloodline is the key to breaking her sister’s curse. In her new reality of spiteful debutantes, shocking family secrets and physical combat, will Mary find the strength to do what she must to save Kitty? It may mean risking everything. Richard Fitzwilliam, second son of the Earl of Matlock and cousin to Fitzwilliam Darcy of Pemberley, has led a blessed life. Believing the most he could want was a distinguished military career, he was pleasantly surprised when he found the love his life and married. After welcoming a son into this world followed by twins two years later, his beloved wife fell ill. Though she recovered, her health was never what it once had been and, after three years, she succumbed to a fever. Left now with three young children to raise alone, he turns to his cousin and Pemberley for solace and direction. Though inspired by the epilogue of Behind the Mask: A Pride and Prejudice Alternative Novel, this work is able to stand alone. 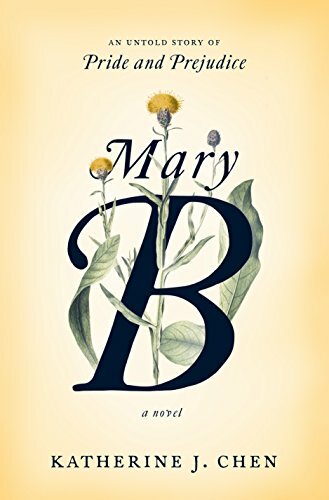 The third Bennet sister, Mary, steps into the spotlight in this graceful retelling of Pride and Prejudice.As a middle child flanked by two pairs of closely bonded sisters, marginalized by her mother, and ridiculed by her father, Mary Bennet feels isonet feels isolated within her own family. 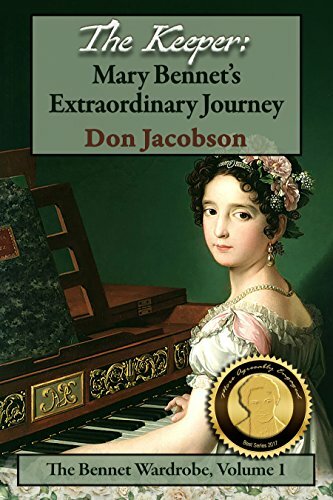 She retreats to her room to read and play the pianoforte and, when obliged to mix in society, finds it safer to quote platitudes from books rather than express her real opinions. She also finds it safer to befriend those who are socially “beneath” her. When wealthy Mr. Darcy and Mr. Bingley glide into her sisters’ lives, Mary becomes infatuated with an impoverished young musician, the son of her old wet-nurse, who plays the fiddle at the Meryton assemblies. 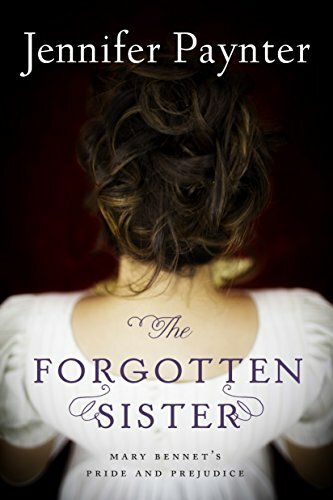 An elegant accompaniment to Jane Austen’s Pride and Prejudice, The Forgotten Sister plucks the neglected Mary from obscurity and beautifully reveals her hopes and dreams. It has been five years since the wedding of Jane and Lizzie Bennet. Even Kitty has married by now and Mary is the center of Mrs. Bennet's efforts to achieve matrimony, but prospects are not in abundance. However, when a mysterious inheritance is bequeathed to Mary a string of events is set in motion. 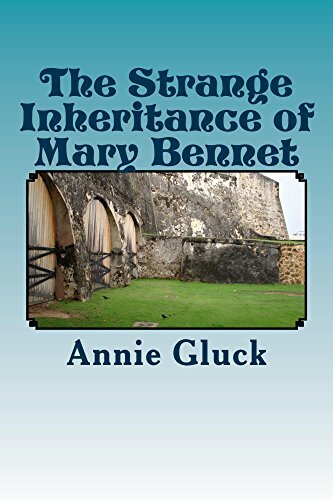 Set in the gothic realms of a ruined fortress, Mary is beset by strange happenings and even stranger people. Will she find happiness or will this strange inheritance be her undoing? Jane, Lizzie, Kitty and yes, even Lydia have escaped the confines of Longbourn and their mother's nerves. Only Mary and her father are left to endure her company. Mr. Collins comes to Mary's rescue. A new and exciting opportunity is given her and as a result a life beyond all expectation begins. Why has Miss Mary Bennet been living a lie? Because she doesn't want to get married. Ever. But when Mr. Bingley and Mr. Darcy raise the Bennet family fortunes, Mary tosses off the deceptions used to keep suitors at bay—her unnecessary spectacles and annoying manner—declaring to Mr. and Mrs. Bennet that she will remain a spinster for life. 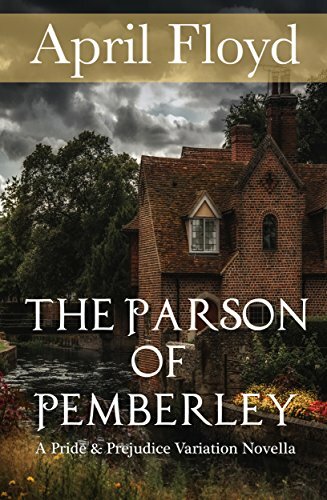 Intrigued by this remarkable transformation, Elizabeth Darcy invites Mary to Pemberley, where Mary falls into an incredible adventure that could be ripped from the pages of one of her favorite Gothic novels. It has been ten years since the wedding of Jane and Elizabeth Bennet, Mary has been left to care for her aging parents alone. Considered eccentric for her love of science and mathematics, she is forgotten by most of society... that is until a mysterious illness befalls the people of Meryton. Soon they and many others will know Mary's true worth. 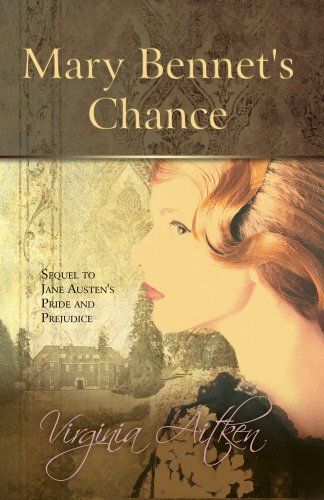 Mary Bennet's Chance is a sequel to Pride and Prejudice by Jane Austen. 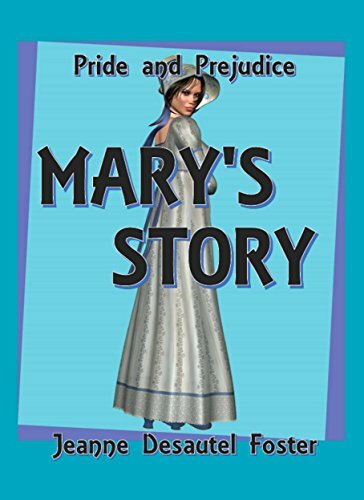 Without compromising Austen's original intentions, characterisations or literary style, this novel traces the story of Mary Bennet three years after the conclusion of Pride and Prejudice. The year is 1816, the "year without a summer" , the year of the Littleport riots, and the year that a war-ravaged Europe was recovering after Napoleon's defeat at the Battle of Waterloo. Twenty-one year old Mary Bennet, the middle of five sisters, is an educated and forward-thinking young woman of her day, but she has resigned herself to a stifling future in the Little Village of Meryton, looking after her ageing parents. There is no likelihood of finding true love or even finding a husband. On a visit to her aunt and uncle in Cambridgeshire, Mary's world is turned upside down when she meets Charles Treymayne and Fitzroy Sinclair. These two men are to have a lasting effect on her. Seventeen-year-old Mary Bennet wishes Jane Austen had never written "The Book." 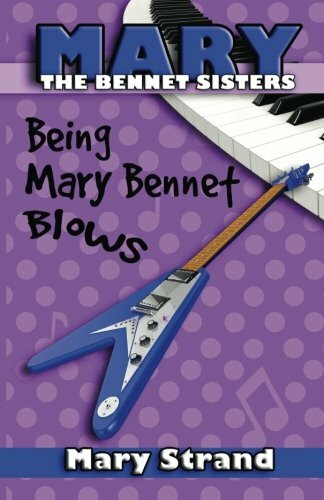 Everyone knows the hideous fate Jane Austen dumped on Mary Bennet in Pride and Prejudice — dull, ugly, obnoxiously brainy, and piano-playing — and it seems to be dictating Mary’s life. She’s sick of being that Mary Bennet. She's ready to raise a little hell. But will anyone let her? She can’t change how she looks without every kid in school laughing. Her mom refuses to let her ditch piano for electric guitar. And when a brainy guy with a skateboard rides into her life, can she trust him not to make her the biggest joke in school? With a little help from her sisters, she’s about to find out. 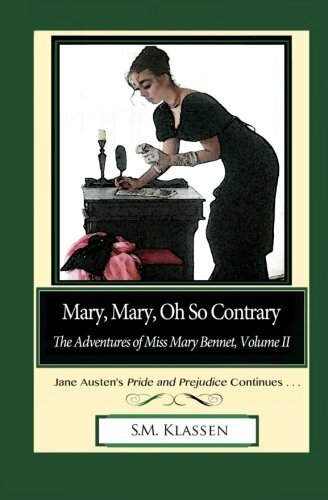 Mary Bennet, the third of the five Bennet sisters, longs to be understood and cherished. When Elizabeth Bennet suggests she would be the most suitable match for their cousin, William Collins, Mary determines that her search for love will not be sacrificed to save Longbourn. She goes to London to visit the Gardiners and meets friends who show her the regard she hopes for, amongst them one friendly parson by the name Andrew Moore. Along the way Jane and Lizzie face their own romantic woes. Can Mary have the love she dreams of or will time and distance intervene? 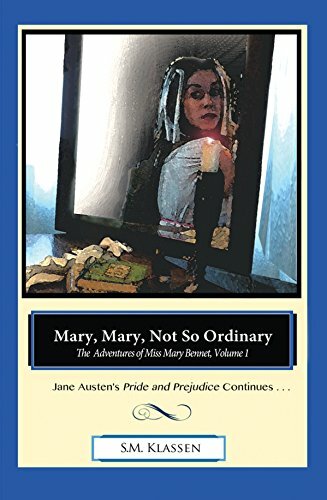 A short Pride and Prejudice variationWithout the beauty and wit of the older Bennet sisters or the liveliness of the younger, Mary is the Bennet sister most often overlooked. She has resigned herself to a life of loneliness, alleviated only by musicnly by music and the occasional book of military history. 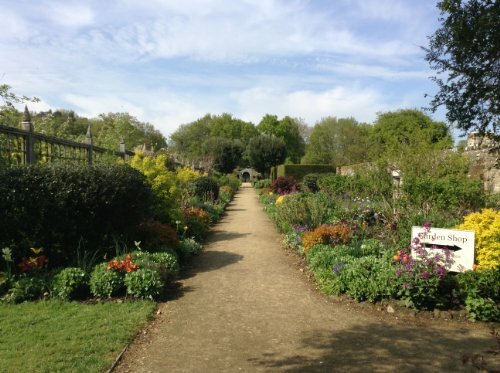 During the wedding breakfast for Mr. Darcy and Elizabeth Bennet, a chance meeting in Longbourn’s garden kindles an attraction between Mary and the Colonel. However, the Colonel cannot marry for love since he must wed an heiress. 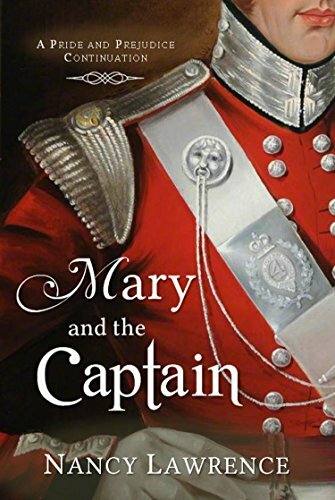 He returns to war, although Mary finds she cannot easily forget him.